You know what would be a good idea? Put a bat house in your yard. Wouldn't you love a bunch of bats flying around your neighborhood? Before you freak out, remember bats can eats hundreds of mosquitoes and other insects a night. 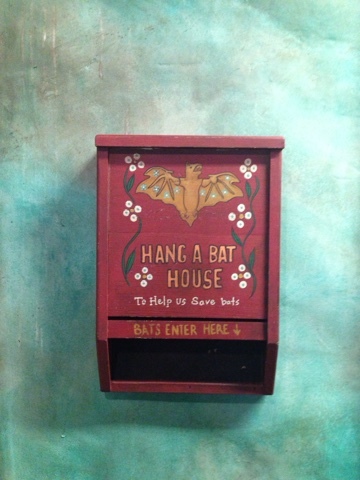 At the Maharajah Jungle Trek, at the bat exhibit, great graphics show you just how important bats are. This house is there and is a good example of what a bat house looks like.